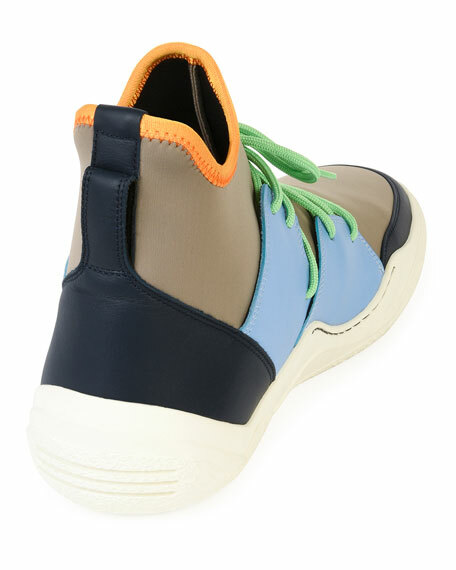 Lanvin colorblock sneakers in neoprene with calfskin leather details. Round toe with leather cap. For in-store inquiries, use sku #2266409.